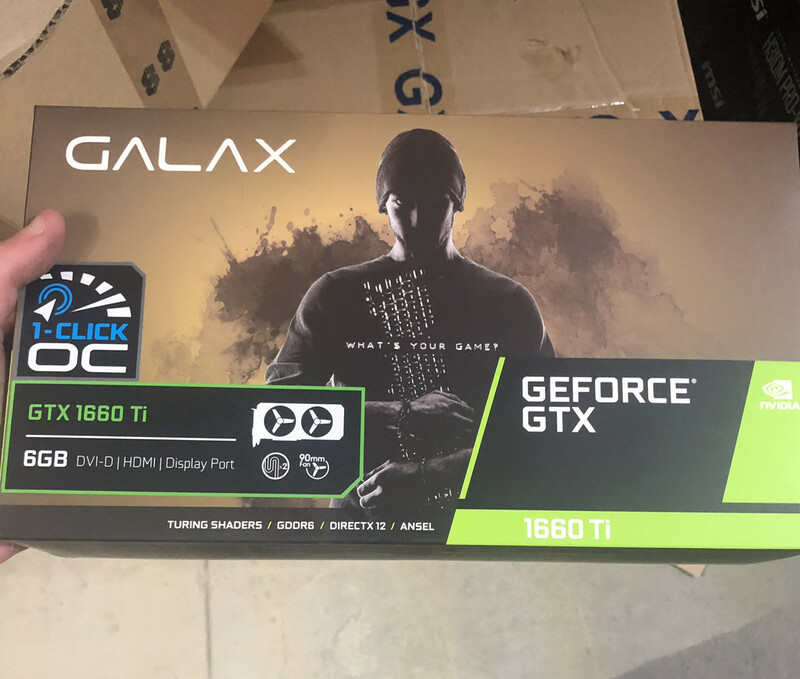 Pictures, and not renders, of GALAX GeForce GTX 1660 Ti graphics cards are the first real indicator of the existence of the GTX 1660 Ti, its wacky name, and the fact that it's based on the "Turing" architecture minus RTX technology (real-time ray-tracing). 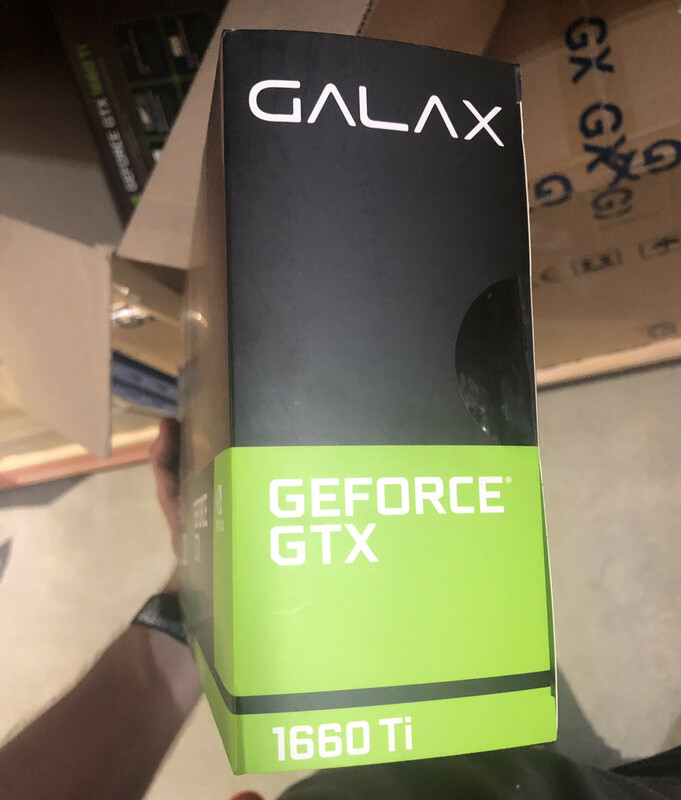 Thanks to NVIDIA's SKU box design standardization, the front face of the box reveals that the card is indeed based on the newer "Turing" architecture, with an emphasis on "shaders." This indicates CUDA cores based on the newer architecture, minus RTX technology. We also see a confirmation that the 6 GB of memory on tap is based on the newer GDDR6 standard. Pictures of the box were snapped up by someone unboxing a crate of these cards to stock up a retailer. The card is rumored to be launched as early as 15th February, with availability later this month. Its been a good couple of weeks, and I'm really trying to wrap my head around the naming scheme. How do you go from GTX 10 series to RTX 20 series to... fk all GTX 16... series... or product? Why not just go with GTX 11 series for consistency and leave us alone? 1160\1170\1180 would have been great otherwise. Or maybe this is the Sweet Sixteen everybody always talks about. Other than that, no rhyme or reason indeed... the only REAL thing I can possibly think of is that Nvidia liked the appeal of the GTX 660ti back in the Kepler days and they are trying to get that demographic to upgrade to this!? Its a similarly handicapped / strangely balanced card, I suppose - and/or a similar sub-high end value proposition. I really don't know, grasping at straws here. Read elsewhere they are showing a $279 price ,though there are a few variations and that price could be the cheapest or dearest. 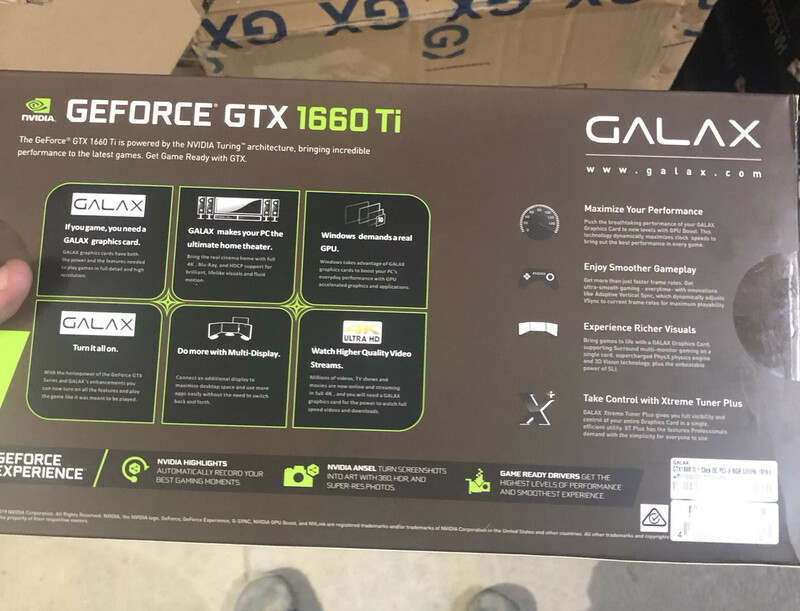 1180Ti baby, make it happen. Stop being logical and confusing people.. I wonder what the pricing is going to be? There hasn't been much talk about it. But that wouldn't reflect the Raytracing aspect of the new cards.. If this gpu is 280€ with same performance as gtx1070 and lower power consumption, it is an interesting product imo. And I guess this will overclock really well. Lawyers would have had a field day arguing that was misleading.